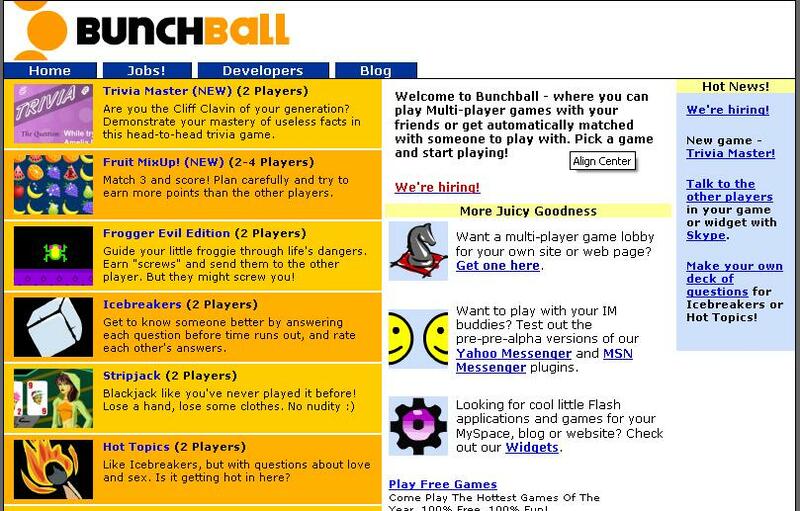 Flash-based games and widgets site Bunchball has raised $2 million in funding from Granite Ventures and Adobe Ventures. We've covered Bunchball before, and it's good to see that it's gotten some more room to breathe. Calling itself a social gaming service, its games can easily be embedded in blogs or on social networking sites like MySpace or hi5. While at first glance, Bunchball looks like any one of the dime-a-dozen widgets sites out there, the real power is in getting users of your site or blog to interact with each other. Their games facilitate the building of a user community, allowing users to chat and compete with one another. It's a good way for you to increase the stickiness of your site.